In 2014, Punjab had a network of around 2,780 government health clinics in rural areas. These were poorly resourced and poorly performing. Only 27 of them had all of the essential medicines they were supposed to. The chances of finding a doctor present in one on any given day was just one on three. Critical supplies were missing, equipment broken, and the condition of the facilities poor. Thousands of children suffered or died each year from illnesses which could be cured or prevented if the health facilities were in better condition. To begin improving the health facilities, in 2014 the Chief Minister approved the creation of an independent monitoring force, modelled on a similar force that monitored schools. The 170 monitors were former army officers, charged with visiting every health facility in the province at least once a month and reporting objectively on its condition. The information they gathered was reported through a mobile application, giving the the Health Department and the Roadmap team real time information on the condition of the facilities. Considerable effort was invested in ensuring that the data was accurate and independent evaluations confirmed that the data was highly reliable. Each week, data was uploaded late on Saturday afternoons. On Sunday, the Acasus team checked the data and undertook a wide range of analyses. They then produced individual reports for each of the 36 districts, with specific details on problems that were uncovered. The reports told districts which facilities needed medicines and the quantities to send. They indicated staff vacancies, unauthorised absences, broken toilets, failed electricity connections and a wide range of other problems. An algorithm prioritised issues to help districts focus on the items that would make the most difference first. The team also produced a summary for the Minister and the Secretary, indicating overall provincial performance, specific problems, and a list of people to be called, either to congratulate them or to urge them to address particular problems. On Monday morning, 36 hours after the last data was collected, the Minister and the Secretary would start making phone calls. These routines and the fast cycles of action and measurement led to rapid improvement in most indicators. Within months, medicine availability was 99%. Availability of contraceptives, basic equipment, electricity, drinking water, and a whole range of other supplies and inputs increased. Staff attendance was up, and vacant posts were being filled. Over time, the range of indicators expanded. An initial focus on inputs gave way to indicators on the condition of facilities. In 2017, the focus turned to the quality of care and patient satisfaction. The monitors started interviewing 6,000 patients a month, ensuring they were getting good basic care and understanding what happened when they were treated in facilities. The quality of care slowly began to improve. Overall, the reforms transformed a system of failing clinics into one that consistently provides basic levels of care and has a system in place for future improvement. To deliver effective reforms, data and other measures of progress are essential so that the system knows whether it is making progress, can understand what works, and can tackle underperformance. In Punjab, monitoring teams and innovative technology transformed the Government’s ability to iterate and make fast improvements to the system. Fenton Whelan founded Acasus, he has more than a decade of experience in public health and education development. Fenton leads the Acasus support in Pakistan. Leveraging existing monitoring systems to rapidly collect useful data for governments. 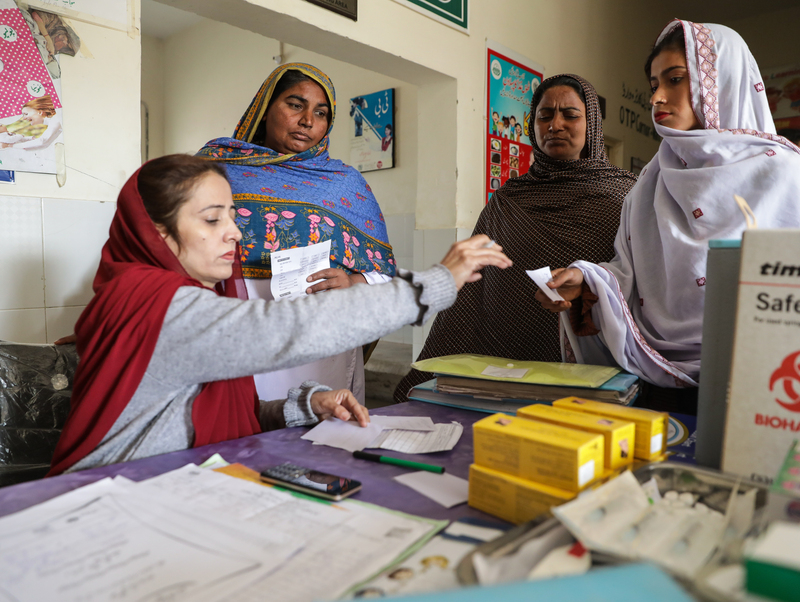 A glimpse into how 4000 smartphones transformed immunization monitoring in Punjab, Pakistan.